The Love-a-Flare lashes are slightly fuller on the ends for a subtle, yet polished look. A pretty lash style that adds volume, without comprising the natural feel. I love Love-A Flare’s Pinky look! I like wearing this style with light makeup and will choose pink lips stick to create Korea star look. Just want to share with you guys here, hope u like my idea! As my own lashes are quite short, their customer service advised me to try this style. It looks so natural on me, I absolutely love them! My friend wore Everblinks at our last Christmas party and needless to say I was very interested in them. So I tried this style- love a flare. They are amazingly pretty and light. I can wear them all day! I meant to buy ooh la lash but was out of stock. 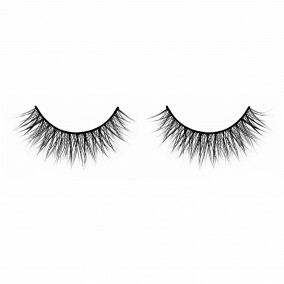 Tried this style and it turns out to be suitable for me as well :) It’s longer than ooh la lash! I’m so happy that I was introduced to Everblinks Lashes! They’re so light weight compared to those cheap ones, I can wear them all day without my eyes getting irritated!